"We went to this water puppet performance with our young children aged 9 and 7. It was interesting to see traditional music being played live and also to watch the cultural performance of the water puppets which are unique to Vietnam. The show went for 50 minutes which was about the right length of time to keep you interested. Definitely worth a visit especially if you have children." The Thang Long Water Puppet Theater - is located on Dinh Tien Hoang street, near Hoan Kiem Lake and the Old Quarter, in the center of Hanoi. It is a play performed entirely by puppets in and on the water. The puppets are moved with chopsticks underwater. 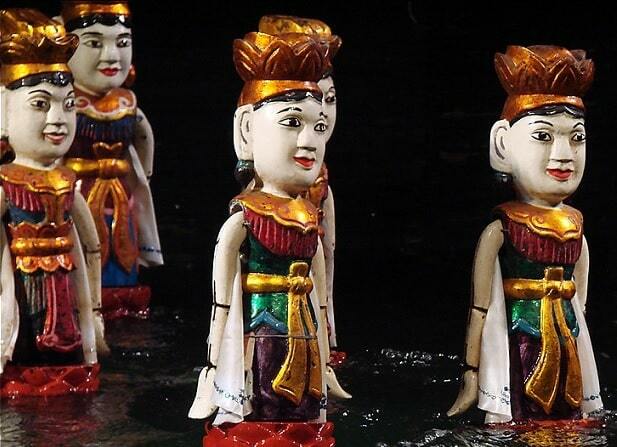 The tradition of this water puppetry goes back more than 1000 years. The whole play is accompanied by a "live" orchestra. This particular play of puppet can only be admired in Vietnam. Long, long time ago they played with dolls in the rice fields when they had nothing to do. This play has become now into the theatre and is world famous. An hour and a lot of fun to see something from this form of entertainment. The puppet show is told entirely in Vietnamese, but the music and the movements of the puppets is understandable, so everyone can follow the show. 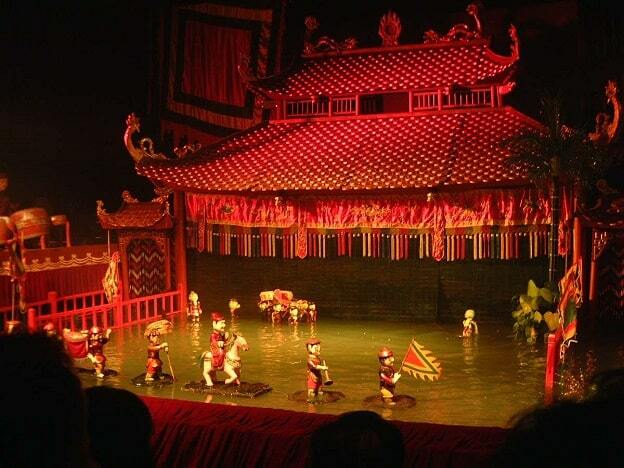 The Thang Long Theatre make local legends come alive with hand-carved wooden puppets and colourful dragons and they portray a story in the water. It is one of the few traditional theatres, where this water show is played. The painted wooden dolls that play here are very famous in Vietnam. Since 1990, the theatre makes frequent trips abroad and then they give performances at art festivals all over the world. The presentation in the theatre takes place on a square pond-like stage, where the puppeteers stand in the water behind a screen up to their waists. Long sticks under the water they are able to move the dolls in spectacular way. The performances are accompanied by an orchestra. You can expect to get a little wet, when you sit on one of the front rows. However, this is the best place to admire the details of handmade dolls. Enjoy the surprising shouts from the audience, when dragons and princes rising from the water and the local legends come alive. The performances take less than an hour. They are given daily at 15:00, 16:10, 17:20, 18:30, and 20:00. It is recommended to buy (cheap) tickets in advance, because the theatre is very popular. After the presentation you can have a little drink in the theatre. Here you have a wonderful view of the picturesque Hoan Kiem Lake. 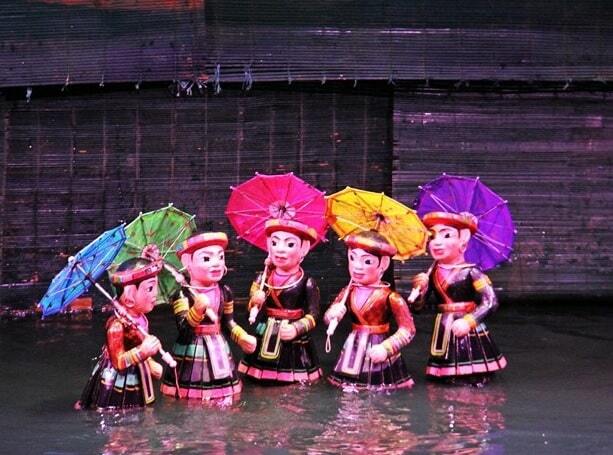 "It is easy to imagine how popular these water puppet shows were when they toured the villages over the centuries. They showcase the agrarian life and the myths and legends of Vietnam. Accompanied by traditional music and song, the show is fun for all ages and is colourful and entertaining. It is not to everyone's taste I'd say, but I enjoyed it as it is such an ancient and important part of the culture."